Chongqing Garden Expo Park is located in Longjinghu Park in the Northern New District of Chongqing and covers an area of 3300 ha, with views of nearby mountains, lakes, gorges - and Beipei city. 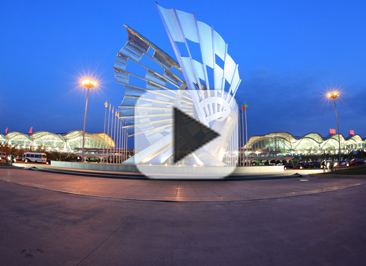 The expo park boasts various miniature gardens from 80 domestic cities and 30 overseas cities. With an investment of roughly 2 billion yuan, the park aims to develop into a large eco center integrated with natural scenery and cultural foundation. The park is divided into six areas, theme gardens, traditional gardens, international gardens, modern gardens, the Yangtze Three Gorges ecology gardens and an ecology experience zone.